Collecting Asylum: Asylum Reviews: Cars 3: Driven to Win [Xbox One]. 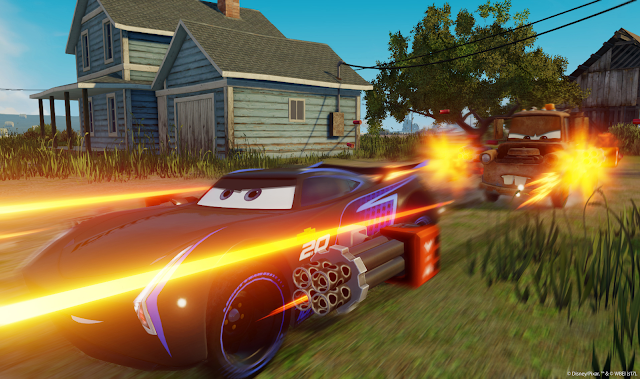 Asylum Reviews: Cars 3: Driven to Win [Xbox One]. 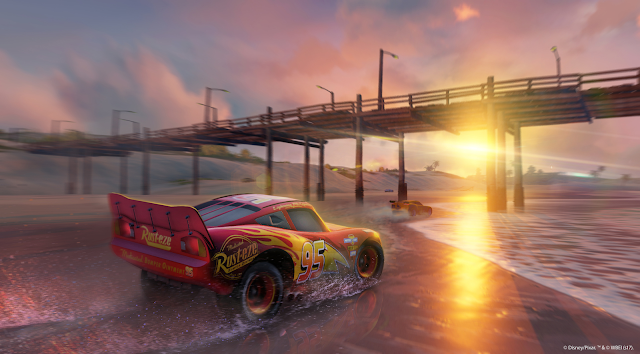 Cars 3: Driven to Win, developed by Avalanche Software and published by Warner Bros Games, is based on the latest installment of the Cars movie franchise. A racing game aimed at the younger generation of gamers: it is straightforward and simplistic in its style, with recognizable characters to draw you in. With a wide variety of playable characters, from lovable Lightning McQueen, to newbies Jackson Storm and Cruz Ramirez, everyone will be able to find a character that they love. For the most part, I stuck to Lightning McQueen, whereas the wee man liked to change between the characters every time he unlocked a new one. It's your standard arcade racer, with a bunch of tracks and different game modes. There's Race, the run of the mill race, where the aim is to come in first place. There's Battle Race, same as before, but with added weapons. Takedown, where you need to knock out the other cars as many times as you can. When the time is up, whoever has gained the most points wins. There's also Stunt Showcase, where you need to show your stuff and impress the crowds by pulling off cool flips and tricks. Best Lap Challenge is where you need to get the best lap time on the course. And lastly, there is the Playground which is just a sandbox mode where you can drive around, doing whatever you want till you hearts content. The races themselves aren't all that difficult, although you can increase the difficulty to pose more of a challenge (some of the AI vehicles are surprisingly quick and nimble - damn you Dr Damage!). You have the option of switching on auto-drift, and changing the difficulty modes (with no impact to achievements), to make things even easier, and there's a little bit of customization available for the Cars, allowing you to change the horn as well as the lights/boost. With fuel cans dotted around the tracks, and the ability for your boost to increase whilst drifting, driving backwards, or two-wheel-driving, the boost can be a godsend in those moments where you misjudge a jump and either fall in water or crash into the ground after an ill-timed flip, as these mishaps slow you right down. There's a few little hidden shortcuts throughout the tracks, as well as signs you can jump into for added boost, and these give the game a little more oomph, as it can feel rewarding blasting through a shortcut to get back into the lead after falling behind. The skill upgrades are also vast, and upgrade slightly different than I'd expected, with points being checked off for doing a certain number of flips in one jump, etc, as opposed to from gaining experience points and leveling up traditionally. The game is definitely geared more towards a younger player, so we ended up getting bored quite quickly, whereas AJ is still enjoying playing along, unlocking all of the extra characters and trying them all out. Overall, the game does what it sets out to do, but just falls slightly short due to it being so focused on a younger audience, that it's just not as appealing for a more experienced player - at least, not beyond the first few races and challenges anyway. If you have kids, I'd still recommend the game for them, as the difficulty options really opens up the game for a lot of younger players who can't quite get to grips with other racers yet. In the end, we gave Cars 3: Driven to Win a 5.5/10. Have you played it yet? What did you think of it? Asylum Reviews: Cave Story + [Nintendo Switch].